According to German interior ministry estimates, at least 361 refugees under the age of 14 are registered as married. Most of the child-spouses have fled Middle East countries like war-torn Syria. In Germany, a person must be at least 18 to register a marriage. There may be an exception for those who obtain parental consent, but in this case the minimum age is 16. 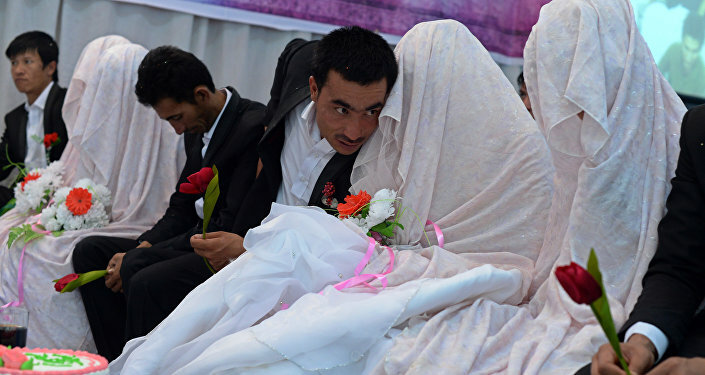 There is escalating concern in the international community over the large number of underage marriages among those seeking asylum in Europe, with some of the female spouses as young as 11, and married to men much older. According to statistics published by Germany's Central Register of Foreign Nationals, 1,475 foreigners under 18 were registered in the German migration office as married, and almost all were girls. According to the figures, 664 child brides arrived from Syria, 157 from Afghanistan, 100 from Iraq and the rest from Bulgaria, Poland, Romania, and Greece. Although 994 of those registered as married were 16 or older, officials say there are 361 children under the age of 14 who are registered as married and living in Germany. Authorities are concerned that the actual number of married minors who have not been registered may be even higher. Many of the girls are believed to have agreed to the marriages to escape poverty and war in their home countries. Women's rights groups have protested against court decisions ruling that their husbands are their official guardians. "A husband cannot be the legal guardian of a child bride because he is involved in a sexual relationship with her — a very obvious conflict of interests," Monika Michell, of Terre des Femmes, a group campaigning against child marriage, told the Sunday Times. During summer 2016, Berlin began deliberations on whether a marriage undertaken abroad by a minor should be recognized in Germany, and whether the legal age for marriage in the country should be raised to 18. Thomas Kutschaty, justice minister for North-Rhine Westphalia, told German media in June that "there is no clear legal foundation to prohibit in Germany what we believe to be indecent." Federal justice minister Heiko Maas last week formed a working group with state justice ministers to discuss the issue and come up with legislation.